Fabulous destinations that lived up to Princesses reputation, but the ship disappointed us on this occasion and marred our cruise. I know others will have a different experience but this was ours, on this occasion. 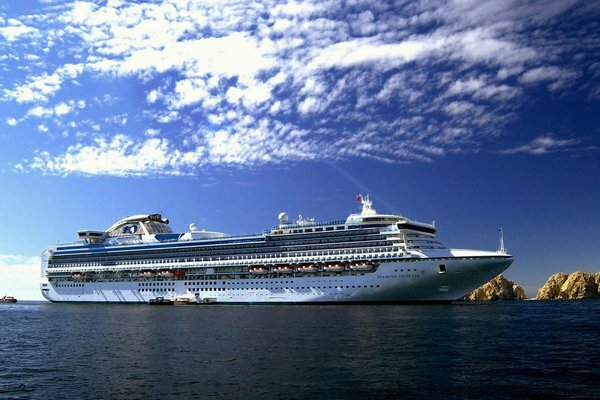 We have written to Princess Cruises, no reply yet but am taking into account the holiday season. Overall the process of getting on the ship with Orincess at Sydney is handled very well. We arrived at 12:39 and was in the ship by 1:15 The only annoyance was one of our bags did not turn up to the room until after we sailed which was a little stressful. We did not use any of the MDR’s preferring on this trip to stay casual. The Horizon Buffet food was good as usual with good variety and quality. The only and it is a major concern for us, handwashing was not controlled at the entry at all or if there was a crew member it was very casual. This by comparison to the Golden Princess a couple of months earlier who were very attentive to passenger hygiene. The entry and exit also wasn’t really managed so often people busted through, no hand wash in in the exit. We really felt the attention to hygiene was less than we gave previously experienced. We only went to the main show which was fantastic and lived up to the big musicals that many cruise lines pride themselves of offering. The show was ruined to a degree by overcrowding in the Princess Theatre! There were no staff other than a couple of bar staff getting drinks so the theatre continued to film to the point where people were sitting in the Wilde or standing as they did in front of us. They also blocked the exits. I commented to my wife J hope there’s no incident because getting out of the Theatre would have been very difficult. This was a big oversight by the ships management and should never be allowed to happen! As I have already stated regarding the Buffet. There were so many basic things that went wrong in our cabin it became an effort to stay positive but in the end we focused on the destinations, although I (everyday) contacted passenger services and the room steward to have issues fixed. The issues were... No Hot Water in Shower Television would not work without crashing and requiring constant reset Aircon not cooling the room Horrendous smell on the balcony making use of the balcony out on occasions depending on ship speed or wind direction Door Lock failed requiring replacement so the room had no security during one excursion ashore Hot Water was fixed on Day 4/8 TV day 6/8 Aircon twice looked at and changes made but never fixed, the cooler temperatures as we sailed south made it Jess of an issue Smell never went away The smell was sewerage from a vent near/below Door 7 Starboard Side and we were told the crew were working on it, my advise on any of the Diamonds sister ships etc book the Port Side! We bought a day pass for trains/Trams and buses and took a look around for ourselves both days - fantastic and we’ll be back for a longer visit. Took the “Behibd the scenes walking tour” which was ok but slow and we missed a lot of what there is to see at this amazing place. Would go our own way in future if we were to visit by cruise ship again. Bought a beautiful painting from a very nice local artist - Highlight of the trip!